Frank Lowe offers separator pads to protect your metal fencing products throughout shipping & storage. Your employees spend arduous amounts of time creating beautiful metal fencing for consumers and businesses. Ensure your metal fencing arrives to its final destination in the same shape it left your facility with Frank Lowe’s custom separator pads and shipping pads for metal fences. We have just begun partnering with metal fencing manufacturers and providing NEW solutions that make a difference. Instead of a one-size-fits-all solution, we’ll work closely with you to die cut, fabricate, and custom manufacture the most suitable metal fencing shipping pads. Our custom metal fence shipping pads are engineered to withstand and protect your products throughout shipping, storage, and handling. We’ll make sure your craftsmanship and attention to detail isn’t negated by damage from shipping, storage, or installation. 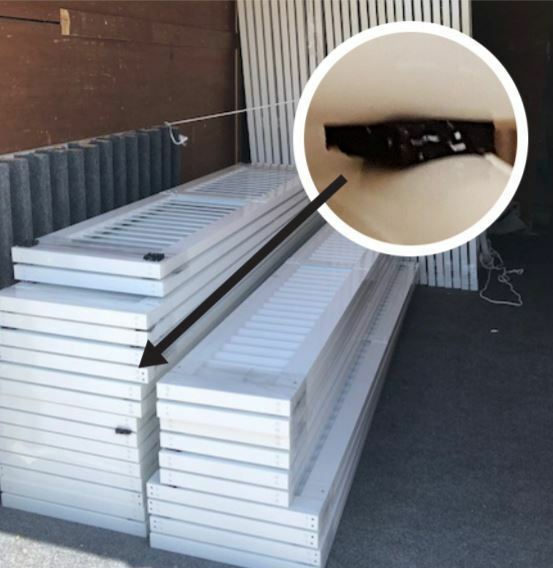 When it comes to protecting your metal fencing throughout shipping, storage, and handling; Frank Lowe's metal fencing separator pads are the premier solution. Frank Lowe offers a catalog of metal fencing separator pads ideal for wrought iron fencing, cast iron fencing, steel fencing, and aluminum fencing. Moderate density NeoRebond fence separator pads are made from rubber-foam materials that work to prevent rattling and twisting, while reducing slippage and absorbing vibrations. Foam metal fencing separator pads are probably the most economical solution and are more suitable for lighter metal fencing products. At Frank Lowe, our experts will walk you through the different types of fence shipping pads we offer. We’ll make sure to explain each option to you and guide you to the best solution. Once we decide which option is most beneficial, will die cut the fence shipping pad in the best shape depending on your specific needs. We can provide fence separator pads on either a sheet or a roll to expedite application and make it as simple as possible. We also offer kiss-cut metal separator pads where the pads are entirely cut through, but the paper backing is left intact. By combining our kiss cutting and pressure-sensitive adhesive backing, you can save time and create protective pads that need only be peeled and stuck to the fence. 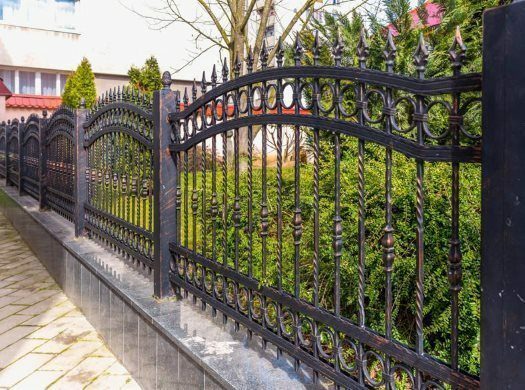 Whether you create custom artisanal wrought iron fencing or produce chain link fences, you and your employees have dedicated time and resources toward delivering products your customers value. Ensure your fencing products arrive to its final destination in the same shape it left your facility with Frank Lowe’s metal fencing separator and shipping pads. We’ll work closely with you to understand your unique application goals and challenges. Then, our custom manufacturing team will suggest the most effective and efficient solution to help you achieve your goals. Ready to talk about how partnering with Frank Lowe can help? Contact us today for a free, no-obligation consultation.